Published: September 26, 2018 15:44 Pratyush Sarup, Special to tabloid! Black Panther made it cool for Hollywood to invest in movies that told new stories and brought fresh perspectives to the screen. #BlackGirlMagic continues to empower and inspire women around the globe and Janet Jackson’s latest video for Made For Life has put Afropunk and Afrofuturism right where it belonged — in control and on our minds. Here are the some of the coolest names that are making sure our newfound love for all things Africa goes beyond a moment and becomes a movement. Born and raised in Dakar, Kane studied as a business, economics and law major in Paris before swapping it all for fashion. 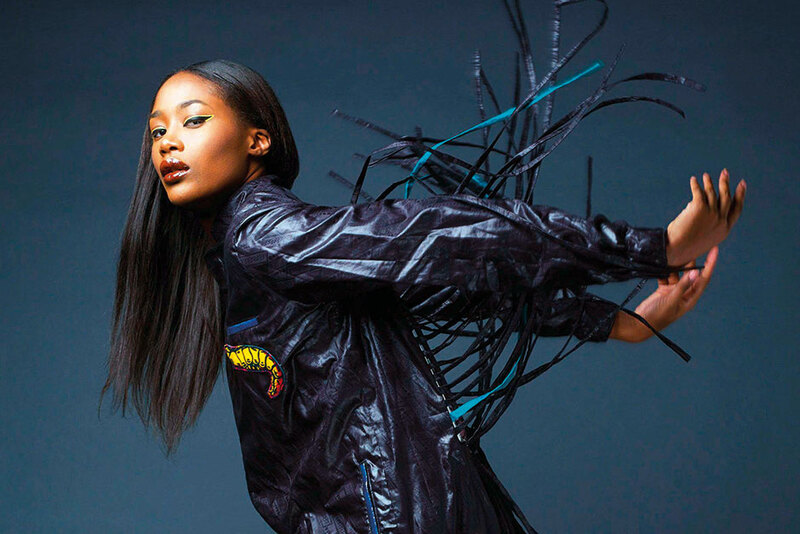 “I always had a passion for drawing,” said the Senegalese fashion designer, known best for her avant-garde aesthetic and streetwear line with disparate influences including surrealism, sci-fi and nature. Her incorporation of African prints with contemporary cuts through her surrealist streetwear is proving to play an important part in Dakar’s evolving collective of artists shaping the youthful creative scene as it references her hometown. Kane recently shot a film for Alien Cartoon and is working on her very own concept store while exploring set design. A rebellion against current world consumer culture and an ode to the patterned fabrics from his Nigerian heritage, London-based designer Yinka Ilori is shining a new light on the way we perceive vintage furniture. Inka believes that furniture is forgotten about because of their mundane role in our daily lives. “The most interesting finds to me are on the streets,” says Illori who hunts around the city for furniture that he can upcycle. He chooses to see a narrative in the pieces of furniture he works on, and attributes his drive for bringing storytelling and hopefulness to his cross-cultural perspectives. Manning an enterprise abundant with a calibre of creative collaboration one would expect from world-renowned epicentres of design, Peter Mabeo’s eponymous furniture brand operates from Gaborone, the capital of Botswana. Mabeo harnesses intricate craft techniques that have been honed over centuries and makes use of certified woods that are ecologically and culturally sustainable. Peter Mabeo unites internationally revered design talent with their very own home-grown design team including Batswana craftspeople to carry out their aim of transcending the perceived notions of Africanism and to realise their goal of asserting Mabeo as an African brand on a global stage. South African-born multidisciplinary artist Atang Tshikare runs his design studio Zabalazaa, meaning “Hustle” which he claims is a creative solution for creators who have nowhere to showcase their work, and the studio specialises in surface design and illustration. His Afrofuturistic identity is heard across the many combinations of African inspired patterns and line drawings which he uses across several mediums to create his designs. Tshikare recently branched out to furniture where he draws on African mythology, emphasising on a sense of touch with vibrant textures which extend between natural and man-made materials used for the furniture. Through his work with the African Design Centre, he is championing the movement to develop the talent and potential of the next generation of African designers with socially-focused design principles. In a recent TedGlobal Talk the Rwandan architect stressed the significant need for sustainable new buildings, infrastructure and cities to support the burgeoning population of Africa in the next 30 years.